All homes currently listed for sale in the zip code 92114 as of 04/18/2019 are shown below. You can change the search criteria at any time by pressing the 'Change Search' button below. "Amazing Single Family Home in a Cul-De-Sac! NO HOA and NO MELLO-ROOS! Priced to SELL! A total of 6 Bedrooms and 4 Bathrooms house w/ 4 bedrooms and 3 bathrooms downstairs. This home features an open concept floor plan, 2 master suite, a double sided fireplace in the living area, granite countertops, large bonus room, laundry room, balcony, patio covers and a sunroom. This house has plenty of spaces w/ low maintenance landscape and mature fruit bearing trees around the house. No neighbor behind." "Hurry this spectacular Craftsman style Broadway Height home is almost done, but there is still time for you to add your own personal touches. Not ready for finished pictures but ready for a private design showing. This smart home is wired for security, and entertainment. Stunning from the street and designed beautifully from the great room to the kitchen to the master suite. Move your family into this lovely neighborhood into a house you finished to your specific tastes. No HOA, No Mello-Ro"
"Enjoy country living in this city home. The renovated home sits on a corner lot which is over 1/3 of an acre. This home features 4 beds and 2.5 baths and two living spaces. Energy efficient windows and sliders have been recently installed. Enjoy the peak-a-boo ocean view from the great room deck. The park like backyard includes a play structure, large stamped concrete patio and expansive grass area with the option to keep backyard livestock. Long driveway with room to park an RV." "Proudly presenting 6870 Brooklyn Ave and 836 69th St. which sit upon a lot size of 21,666 square feet. The main home is 1,582 sqft 2 bedroom 1 bath home with a 940 sgft unfinished basement. 836 69th St is also Single family Residence at 540 sqft that can be used for in- law quarters or or used as rental income to offset the mortgage. The property has parking enough for many cars, boats, RV's, jet ski's. You name it, the property can house many toys! There is a detached garage too!" "This wonderful home sits at the end of a quiet Cul-de-Sac and has been fully renovated from top to bottom and inside and out with a backyard oasis perfect for entertaining or relaxing with family. New roof, new dual pane windows, new appliances, recessed lighting, BOSE Surround System, Custom outdoor lighting, gas firepit and bbq, jacuzzi, stone pavers all the way to the front of the home, brand new central heat/air, solar panels (lease to be assumed) custom window shutters and shades, and so mu"
"Pictures coming soon! Must see. Complete remodel, 4bd, 2 bth, 2 car garage, over 2,100 sqft. NEW Kitchen, paint, bathrooms, appliances, etc. Very large, fully enclosed private yard. You do not want to miss this spacious and beautiful property." "PARDON THE DUST... UNDER CONSTRUCTION. TASTEFULLY UPGRADED HOME AT THE END OF A CULDESAC. THIS 4BR/2BA HOME HAS NEW QUARTZ KITCHEN COUNTERTOPS W/ FULL BACKSPLASH, NEW STAINLESS STEEL APPLIANCES, NEW KITCHEN CABINETS AND PANTRY. NEW BATHROOMS FIXTURES, WOOD FLOOR IN LIVING ROOM, BEDROOMS AND HALLWAY. WOOD-BURNING FIREPLACE IN THE FAMILY ROOM. COVERED PATIO IN THE BACKYARD TO SPEND YOUR SUMMER AFTERNOONS AND EVENINGS TO RELAX." "A beautiful big home for one special family. Nice tastefully remodeled interior and a fantastic view from the back. Wall to wall Tiles and Hardwood Flooring. The garden is beautifully landscaped with Rock garden and a clean property." "Complete with Ocean and Downtown views, this move-in ready 3 bedroom and 2 bathroom home features over 1600 sqft of living space and a wonderful family oriented floor plan! Brand new kitchen complete with quartz counters, and stainless steel appliances and tons of natural light, remodeled bathrooms with modern finishes, and a fantastic family room that is super spacious and features a great little office nook area! Shows very well and definitely worth a look!" "VRP $479,900 - $499,900. Must see remodeled home with no expense spared! New custom kitchen with beautiful quartz counter tops, new floors & stainless steel appliances. Spacious master bedroom w/full bath. Living room & family room w/new modern floors perfect for entertaining! Family room has fireplace. Bedrooms have new carpet. Bathrooms have new modern tiled floors & showers, sinks, white wood cabinets, & brushed nickel lights / fixtures. New dual pane windows throughout home. Large yard! VA o"
"Beautifully remodeled home with a wonderful lay out! Great home for entertaining and raising a family! Very large back yard with room for a pool, playground, or whatever else your heart desires. Close to all the amenities and attractions that San Diego has to offer. Brand new A/C, furnace and water system. All appliances are included (Nest thermostat and nest protect also included)." "From the moment you arrive, you will absolutely love this beautiful home on a quiet street in the Bay Terraces community of San Diego. Bright & spacious formal living and dining area with vaulted ceilings, natural light throughout, brick fireplace in living room. Kitchen features newer stainless steel appliances and a slider to back yard to entertain. This home also features a new roof that was recently installed in the last two years. Parking is never an issue with the two car garage and drivew"
"Beautiful single story home. MOVE IN READY... A MUST SEE HOME!! Open floor plan that extends into a gorgeous updated kitchen with new stainless steel appliances( refrigerator, stove and microwave) and cabinets. Nice paint and flooring throughout the home. Fenced backyard with covered slab patios, fire pit, and an outdoor grill island all ready to entertain family and friends." 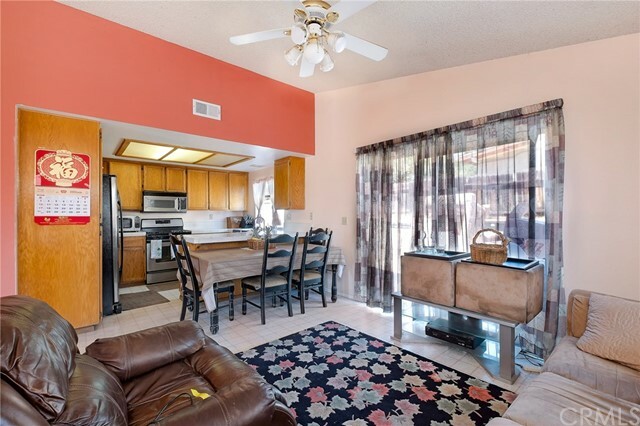 "PERFECT STARTER HOME - 2 Bedroom 2 Bath 2 Car Garage remodeled home includes newly remodeled kitchen, new stainless steel appliances, new Granite counter-top, new ceramic flooring throughout. Fireplace in Living room, updated bathrooms. Solar, Tank less water heater, barn door." "One of the best starter home with room to create tranquil yard/organic garden. The property boost a abundant land to create your imaginations. The front circular drive way gives the distinctive flair to this contemporary house . The owners have improved the downstairs area with artfully design of a new bathroom and bedroom. The deck has boosting view of the openness and evening lights. The inside of the unit very functionally design for entertaining. There are two master bedrooms both upstairs/d"
"$$PRICE REDUCTION$$. Large home and large lot, 4 bedrooms 2 bath. Owner have done some additions, an additional full bathroom in garage, another full bathroom in family room, a full bathroom on side of the house to be use when entertaining guest in back yard area, a full patio kitchen plus 2 storage rooms (see photos). If you have a large family or would like to rent some rooms this is the perfect home, come and see it and make us an offer, SELLER VERY FLEXIBLE WITH PRICE, READY TO NEGOTIATE." "Beautiful single story home offering 4 bedrooms, 2.5 bath. Walk in closet. Updated kitchen offers granite counter tops, custom island and stainless steel appliances. Great floor plan for extended family. Large laundry room with plenty of storage space. 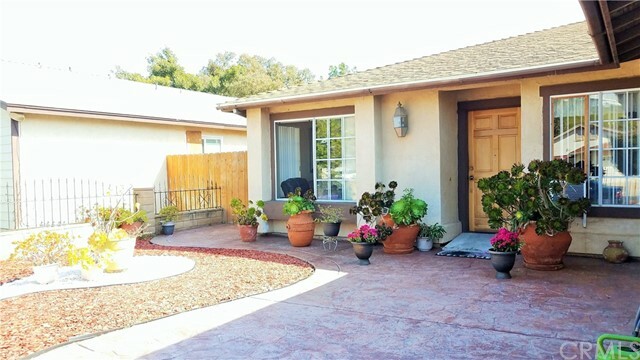 Expanded driveway offering ample parking and fully fenced." "Buyer Deposit Never Showed! *Sought After Single Level Beauty w/ OVER 1/4 Acre Lot! Add ADU Or Go Up For Panoramic Views! Parking for RV/Boat! Open Floor Plan & Upgrades Galore: Dual Pane Windows & New Shutters, Fresh Paint @ Interior & Exterior, Kitchen Remodel w/ Quart Counters & Self Closing Cabinetry. Back Yard is Where The Living Happens-It's An Entertainers Delight! Year Round Breezes & Truly Private- No One Can See In! (2) Additional Rooms to Expand In... Not A Flip-This Home Has Been Lov"
"Great Location! Great Home w/ Tremendous Upgrades! You really have to see to appreciate! Desirable Corner Home in a Huge Usable Lot, 9,693 Sq. Ft. Park Like Lot! Wow! See the nice Wrought Iron Fence! So beautiful White Granite Kitchen Counter! Kitchen Cabinets & Kitchen Tiled Floor are an added Beauty. Gorgeous Upgraded Bathrooms with high quality Tile Floor. All New Vinyl Dual Pane Windows! Sun Room is built w/ quality ideal to entertain visiting Family & Guests! Epoxy Garage! Extremely Clean"
"Views views views! This charming residence has been completely renovated sparing no detail. Enter into the large custom kitchen with designer backsplash and quartz countertops, and SS appliances. Both bathrooms have been remodeled with modern finishes. Formal dining and flex 4th bedroom complete this home. Enjoy your backyard views of the Skyline hillside! Do not miss out on this home. Come and see today!" "The property has been family owned and operated for 10 years. This is a very unique property due to the large lot that it sits on. It has amazing skyline views from the backyard of the house. Huge backyard that is fenced in, ideal for pets and families with children. Only a few blocks from the house are multiple parks including Lomita Park, Skyline Community Park and Keiller Park. Schools that are close by include Audubon Elementary, Freese Elementary School and Morse High School. DO NOT DIST"
"New Price. Property Sold As-Is, Seller will not make any Repairs. Buyer, and Buyer's Agent is to verify: Property Square Feet, Lot Size, Property Condition, Tax Records, Assessor Records, Land Use, School District, Water District, All Material Facts pertaining to Property."